This image was a winner in the Wildlife Photographer of the Year Awards. It was shot at night in eastern Chad, close to the border with Sudan. I had timed my visit there with a good amount of moonlight to be able to use it as the main light source, while at the same time still be able to see some stars. This natural rock arch is over 120 meters high and one of the prettiest I have ever photographed. 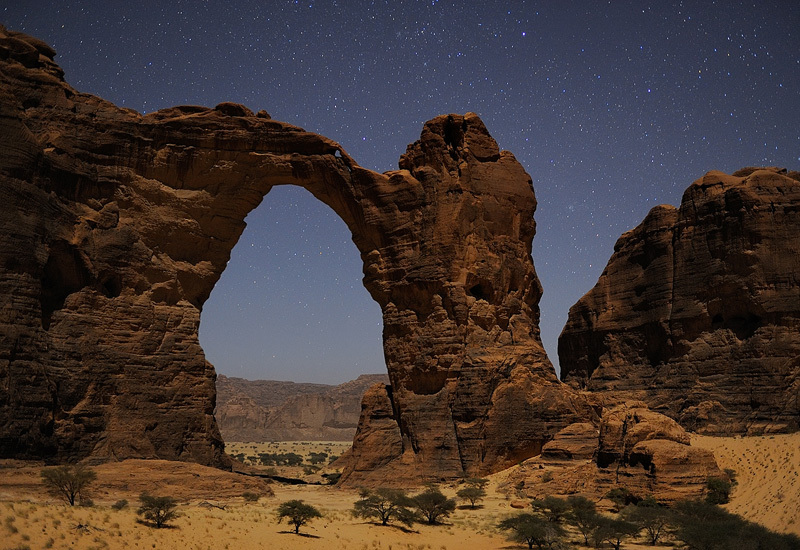 It is also one of the most remote large arches in the world.